Homeopathy has built up its trust among consumers for being a natural way to treat an ailment and people resort to it when they do not want to depend on heavy chemical based allopathic treatments. 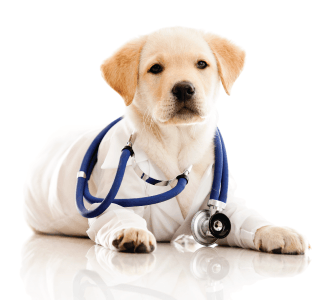 Moreover, homeopathic drugs are made from highly diluted substances that stimulate the body’s healing mechanism thus when a pet is treated with homeopathic drugs, it is actually the pet’s body that is healing itself and not the chemicals. Other than that, homeopathic treatments are quite affordable and the world knows their potential. They have been proven as a safe and effective remedy to treat an ailment without harsh chemicals. So, if you are seeking products that are high on demand in the dog category, here is a list of some of the most popular products of 2018. It is a chemical free formula that gives relief from stress and anxiety in dogs by calming their nerves. The product works like wonder on dogs that get scared and restless due to thunderstorms, fireworks or any atmospheric changes. Anxiety TFLN also settles destructive behavior in dogs besides reducing barking, trembling, whining and cowering. ‘Leaks no more’ has been regarded as one of the most revolutionary products beneficial in pets that face urinary incontinence. It controls the leaking issues in the old pets that usually experience this problem. Many pet parents swear by this product for reducing their cleaning work. Homeopet Digestive Upsets is a natural cure for digestive problems in dogs, cats, and birds. Its potent formula relieves the discomfort caused by diarrhea, constipation, and vomiting. Dogs that normally experience flatulence have benefitted from this product as it treats gastric issues as well. Moreover, the treatment is fast-acting, non-sedating and is completely safe for use on a regular basis. 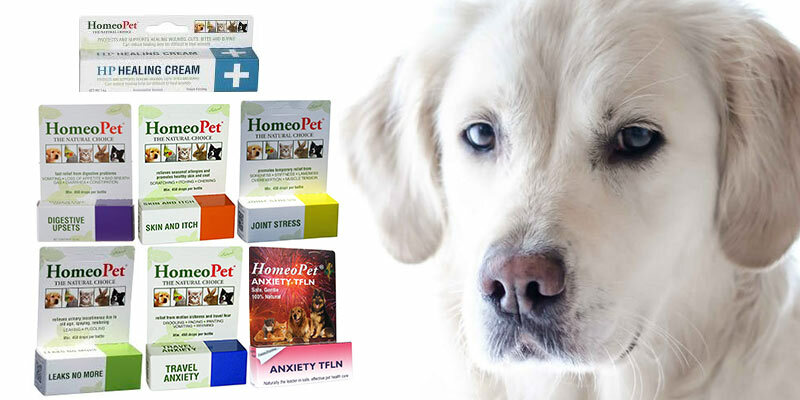 Another homeopathic product that has been a popular choice amongst pet owners is Joint stress. The product relieves joint aches and lower back pain experienced by dogs with arthritis or other joint issues. The formula is natural, safe and thus very reliable. This product is solely meant for dogs that experience itching, hair loss, scratching and irritation of the skin. Its natural ingredients provide relief from incessant itching and prevent hair loss, licking and gnawing in pets. Hp healing cream as the name suggests is an anti-infective topical formula that repairs the wounded tissues and facilitates the quick healing process. 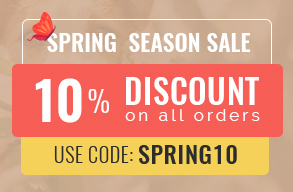 The gentle formulation of the product doesn’t cause irritation of skin even to sensitive dogs. These oral drops are a boon for dogs that fear from traveling in car, flight, bus or train. It relieves the symptoms like trembling, pooping, cowering or whining that are stress indicators in puppies and adult dogs. In all, the product is effective in alleviating motion sickness and related stress issues. These products address the most common problems that pets usually face, issues that do not necessarily required chemical treatments. This is what has earned them so much popularity. Positive consumer experience and their natural formulae have made them all-the-more favorable choice thus earning the bestsellers title of 2018.